New LEGO Dimensions products mean one thing… it’s time to start a new round of giveaways! 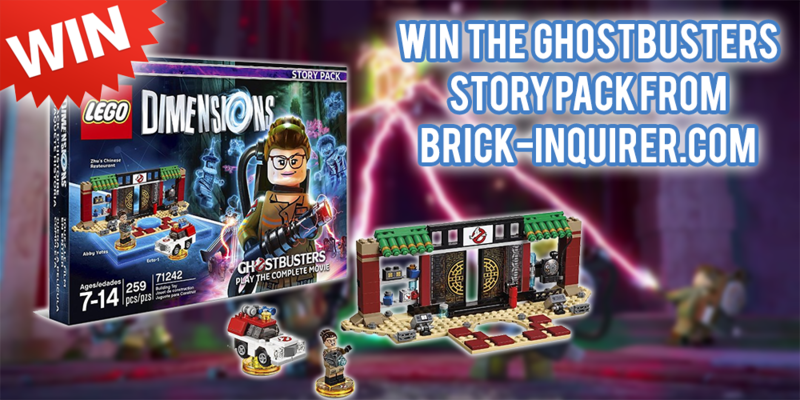 Put up a vote on twitter and people have spoken… up first is set #71242 LEGO Dimensions Ghostbusters Story Pack! The pack is available for pre-order at Amazon for $49.99 (20% off if you have Amazon Prime). BUT.. .here is your chance to win the pre-order, without having to purchase it yourself! Enter to win via the giveaway widget below, or you can head directly to the giveaway page if needed. Don’t forget to come back each day as there are some methods that allow you to enter multiple times! POLL: What Is Your Favorite LEGO Dimensions Figure & Pack Released In 2015?